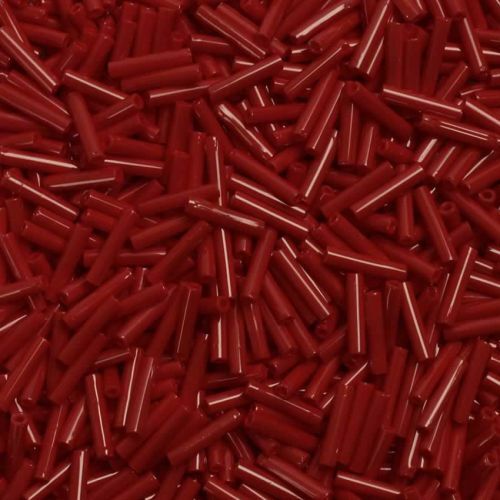 Opaque Pepper Red Bugle Size 3 Seed Bead.These tube shaped seed beads come in a 9mm length and are a bold red colour. They make great spacer beads, and can also be used for stringing and weaving. These Toho beads are made in Japan and are excellent quality. CommentGood colour and just what I needed.